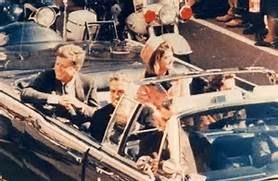 It was amazing to me how little attention was paid to the 50th anniversary of the assassination of President John F. Kennedy this past November. I figured the Main Stream Media would ignore the story for the most part, and that any reports would just be the old, now disproven, Oswald, single gunmen theory. And too, LBJ's involvement would be trotted out there. 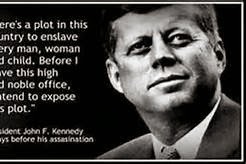 I'm certain LBJ was complicit in JFK's assassination, but complicit with whom? Just maybe the CIA and the Mossad!! !